For my next build, I’m venturing back to WWII. I tend to look for compelling stories so I bounce around in time a bit. A few months ago, my son read a book on the various operations carried out by the British and the Norwegians to stop German heavy water production in Vemork in Norway. Operations began with Grouse, an advance team of British-trained Norwegians dropped into the Hardangervidda, a mountain plateau in central southern Norway. Their mission was to pave the way for the British assault team (Gunnerside) that would conduct the assault on Vemork. Grouse began in October 1942 and due to multiple mishaps and setbacks, the Gunnerside team didn’t arrive until February 1943. During that time, the Grouse team was forced to survive the winter in the Vidda. There was a particular section in the book where the Grouse team found refuge from the elements in a hunting cabin nestled in a copse of birch trees, but they were beginning to starve. Close to Christmas 1942, one of the Grouse team was finally able to track and hunt a herd of reindeer. This build will attempt to capture the moment when the hunter returns with his quarry to the delight of his team. In the process of assembling kits and working on the size/layout of the cabin. I found an old ICM kit depicting Finnish rifleman in winter. I'll wind up heavily converting these figures and probably scratch building a few as well. I was mainly after the skis and the reindeer. Interesting subject matter! Looking good so far, can't wait to see the final product! Robin, the image below served as inspiration. It is in Karasjok - the opposite end of Norway - but the same general construction type as those cabins shown in your photos. Seeing that the cabin at the center of the story was built in the prewar 1930's, I'll have to take a liberal amount of artistic license. 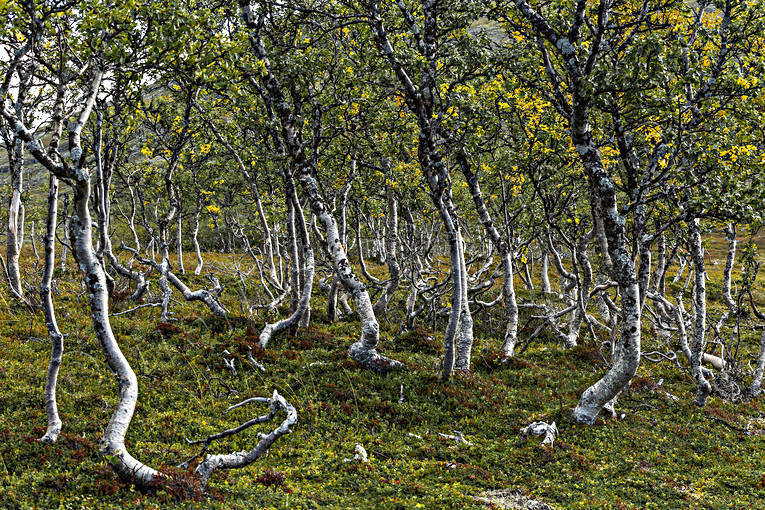 Fjällbjörk, Betula pubescens subspecies tortuosa, a subtype of downy birch. Youtube clip showing some fun that one can have with these small "trees"
Thanks for the birch pictures. Lot's of character in those trees. Had some time to do a bit of work on the cabin. After experimenting with some clapboard sheeting, I decided to become a mini carpenter and cut the boards from bass wood. I used a grey stain and will do some additional weathering with oils once the whole structure is complete. Jim , looking good !!! Basswood is a great material and it takes stain nicely . After staining you can even use a darker acrylic wash to give it some depth . Like what you're doing here . A few years ago a 6-part war/drama series called "Kampen om Tungtvannet", released in english as "The Heavy Water War", portraying the whole action was made and got rather good reviews. Google either title for screenshots and clips. No offense taken. I actually watched some of that series after reading the book. Good source material. 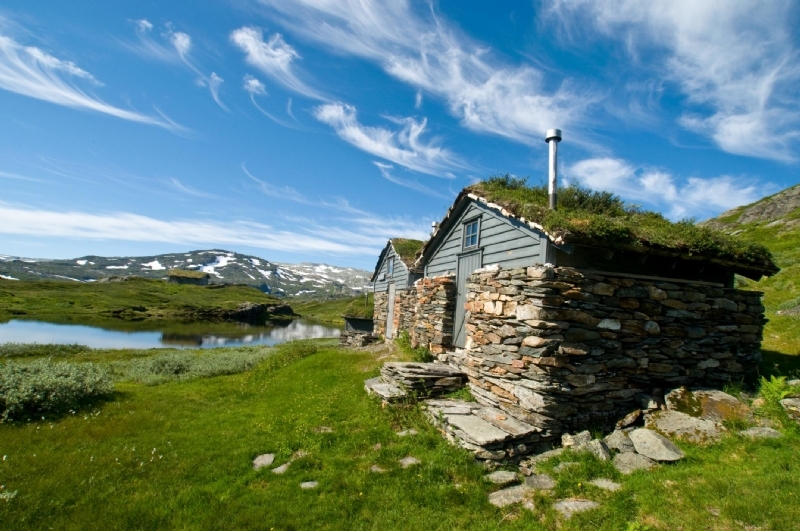 The book describes the cabin as built during the prewar peace. It was a 10' x 20' single room structure. It had four beds, a table, a stone hearth and cupboards. Mine scales out about 12' x 17'. I know I'm walking a fine line between historical accuracy and artistic license - probably erring toward artistic. A little help needed from you Brit experts. Since the Norwegians were British trained and equipped both in parachute and commando tactics, is it safe so assume they wore the No. 5 Uniform under the white anorak? Not sure if there was a cold weather variant. I plan to depict a couple of the guys inside the cabin, and I want to make sure I have the uniform correct. A few more progress shots of the cabin. Completed the exterior and interior walls and floor. I'll save the roof for last so I can set up the interior before closing it in. Beginning to flesh out the interior. Door and window to follow. Nicely done Jim , did you make the fireplace ? I like the wood/coal stove plumbed into the fireplace . Most of fireplace heat goes up the flue whereas a stove radiates much more heat , brilliant . Excellent work Jim, very clean. And I greatly appreciate the change in subject matter from the usual 1/35 military dios seen on here. My 24yr old recently completed his first internship in Norway, and what a great experience he had. After arriving in Oslo, then by train north to Evenstad and the university there. Then even more travel into the region followed by eight weeks of studying/recording the environmental impact of moose, elk, deer etc on the local trees and ground cover. Sorry to be But your start is amazing, and I'll def be following! Thanks for the kind words. I've had this build in the "idea box" for a while and looking forward to seeing it through. Appreciate the encouragement. The fireplace is carved balsa foam - same as the stone foundation of the cabin. I'm contemplating running a small orange LED light into the furnace to create the appearance of hot stove in the cabin. Starting to make the transformation from beast of burden to dinner. In the book, one of the troops field dressed the deer and put as much in his pack as he could carry. That would be hard to convey in the dio, so I decided to have one of the troops pulling the reindeer on a sledge back to the cabin. My original intent was to cover the deer with a blanket, to avoid a heavy conversion, but I couldn't pass up the challenge. The reindeer was cast with blanket, saddle bags and harness. Sanded all that off and gave the deer a more, well dead, look. Next up, I'm going to try my hand at sculpting some fur. Norwegian wooden sledge is complete. This is really a fun project. Thank you! Found some time to devote to the fireplace. It wouldn't be a hunting cabin without a trophy. The wood and fire grate are various Plastruct pieces bent and carved. I used the reindeer antlers from the ICM kit, but sculpted the skull. Working on the first figure as well. This fella has the envious job of pulling the dinner sled back to the cabin. I started with the base ICM kit. It came sculpted with a full combat load out, so I sanded all that off. Ultimately, he'll only be carrying a backpack. I also bent the figure over a bit more to simulate the strain of pulling the sled. I'm using a Hornet head. The head needed to convey happiness as he's scored some dinner. Sculpted the hat, scarf and boot covers. Next up is the winter parka. If your looking for another antler set. Jim the fireplace is very cool !!! The start on the figure looks to be coming along nicely too . Liking what you're doing !!! Thanks for the kind remarks and for following along. Except for rifle and sling, the first figure is complete. I had a good time with the ski bindings. A bit grainy, but you get the idea. I'm trying my hand at wire armature trees. Since the cabin is set in a copse of birch trees, I'll probably include three. Here's the first. Great basic idea for the overall theme of this dio. I like what you have done so far and how you went about it as well. The building and fireplace are great! The figure is a super nice conversion as well. Maybe the rucksack buckles are a bit oversized? Great mods on the deer and also building that sled. You are well on your way here. What a nice diorama idea and a great start as well. A subject not seen too often. Excellent work Jim.